There is a wave of positive activism and events happening on August 24, 2013. We have declared August 24th Annual “Positive IMPACT” Day. 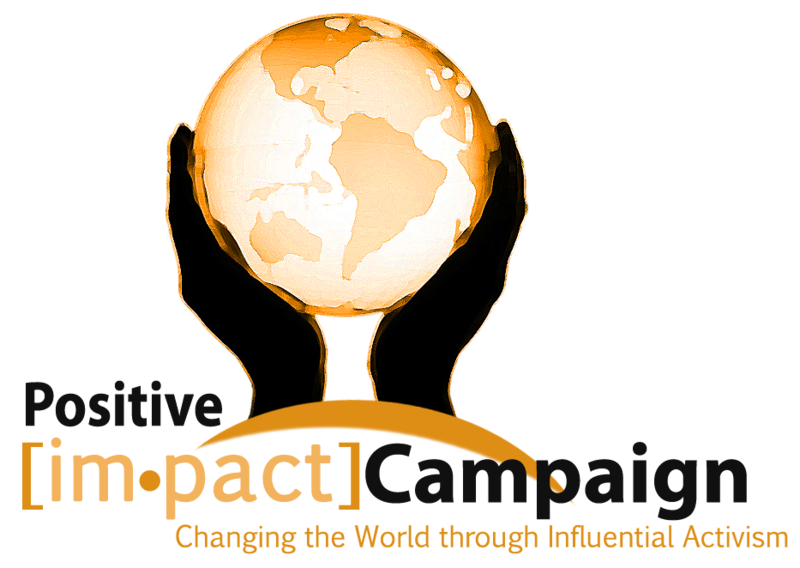 Launch a Grassroots or Cyber Positive IMPACT Campaign. Attend a Positive event in your community. Volunteer for your favorite non-profit organization. Start your own initiative or organization supporting a cause you are passionate about! Make an IMPACT with your very own Positive Impact T-Shirt NOW AVAILABLE! 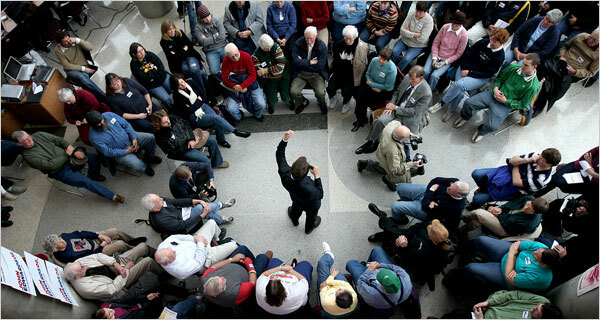 Grassroots campaigning is the old fashioned, yet effective, art of mobilizing and communicating one on one with your neighbors within your community regarding an issue, cause, or candidate that is important to you. It can include signature petitions, phone banking, rallies, fundraising, etc. It has been a powerful vehicle for connecting and educating others about important issues and causes. With the advent of the Internet and social media, Cyber campaigning has become very prominent and effective as well. It provides an incredible opportunity to share a message with the masses and evoke activism like no other marketing and communications vehicle. One of the most popular and successful uses of both campaigning platforms was demonstrated during President Barack Obama’s campaigns. We all learned very valuable lessons either being involved or observing the power of the effective use of both grassroots and cyber campaigning by President Barack Obama. Smile and always be kind, courteous, respectful, and enthusiastic. Be knowledgeable about your cause, and be passionate about it. Provide others an opportunity to stay involved by sharing contact information to follow up i.e. website address, etc. BONUS: Give a small token of appreciation if you can (business card, flyer, piece of candy, button, bumper sticker, t-shirt, etc.). Cyber campaigning is the art of mobilizing and communicating with the masses utilizing social media and the Internet. Utilize your social media platforms to share information with your friends and followers. You can be enthusiastic without overkill. One general message about your cause per platform per day is the maximum exposure you want to distribute. However, you can post multiple pictures, and respond to responses and inquiries from others. Always ask permission before posting on someone else’s page, or in their group. Always thank people for their time, and provide them an opportunity to stay involved by sharing contact information to follow up i.e. website address, etc. The Positive IMPACT Toolkit was designed to inspire individuals and organizations to ignite activism in their communities through service, outreach, and grassroots campaigning. Below are the instructions for utilizing the toolkit. Step 1-Read the Positive Impact Pledge. Sign the pledge, recite the pledge, frame and hang the pledge where you see it prominently on a daily basis. Read and recite the pledge daily. Step 2– Read and sign the Positive IMPACT Petition either online or the printed version. Download and circulate the petition or distribute the link to the petition electronically. Submit the signed petitions to petitions@impact-enterprises.org or mail to 13636 Ventura Blvd, Suite 375, Sherman Oaks, CA 91423. Step 3-Take the Positive IMPACT Survey either online or the printed version. 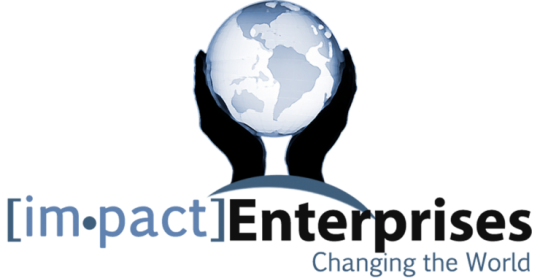 Download and circulate the survey or distribute the link to the survey electronically, and submit the completed surveys to surveys@impact-enterprises.org or mail to 13636 Ventura Blvd, Suite 375, Sherman Oaks, CA 91423.